Olympia Motors is Albertsville's premier Buy Here Pay Here lot. We offer the best collection of well maintained Cars, Trucks, SUV's and other vehicles at the very best prices. Our ability to get you financed is easy and hassle free. 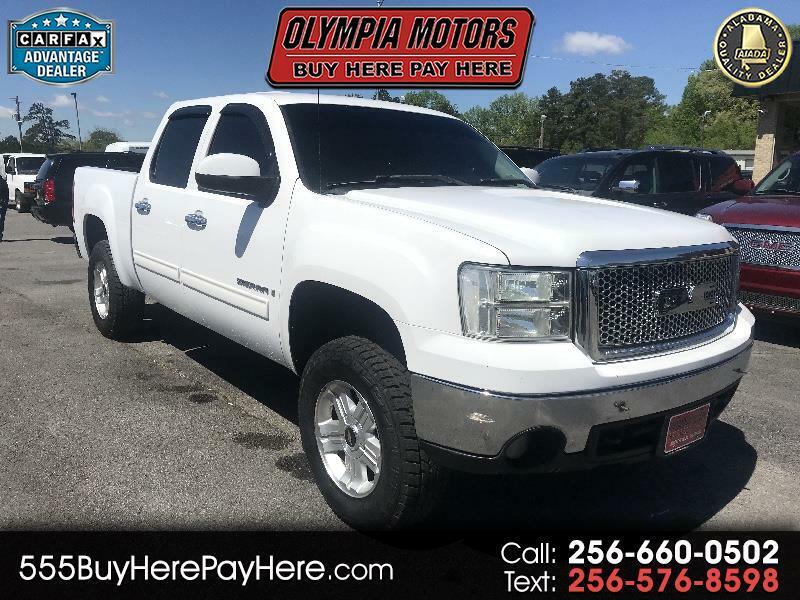 Visit Olympia Motors online at www.555buyherepayhere.com to see more pictures of this vehicle or call us at 256-660-0502 today to schedule your test drive. You promise to pay us the principal amount of $11,500.00, plus a time price differential accruing on the unpaid balance at the rate of % per year from today's date until maturity. The time price differential accrues on a 365 day basis. After maturity, or after you default and we demand payment, we will earn finance charges on the unpaid balance at % per year. You agree to pay this Contract according to the payment schedule and late charge provisions shown in the TRUTH IN LENDING DISCLOSURES. You also agree to pay any additional amounts according to the terms and conditions of this Contract.